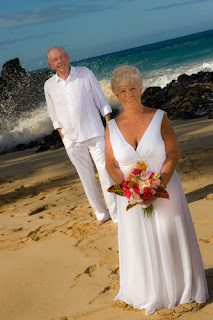 These images were shot for Jan and John at Makena Cove in celebration of 50 years of marriage. We scheduled a morning ceremony there to avoid the beachgoers and other wedding celebrations that typically happen at the end of the day. 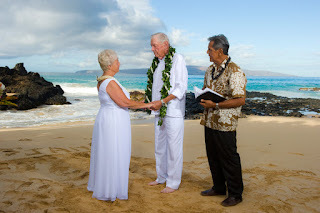 Makena Cove is small and subject to wave and tide conditions, but when it's a calm day and the waves are manageable, this little cove is an incredibly romantic and beautiful spot for your Vow Renewal Ceremony. 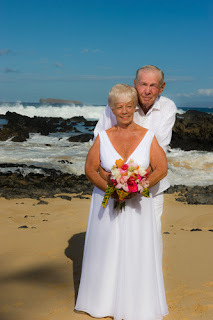 A trip to Maui, a Vow Renewal on the beach. 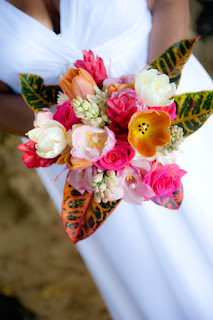 What better way to show your spouse how much they mean to you? Give us a call 1-800-745-0344.